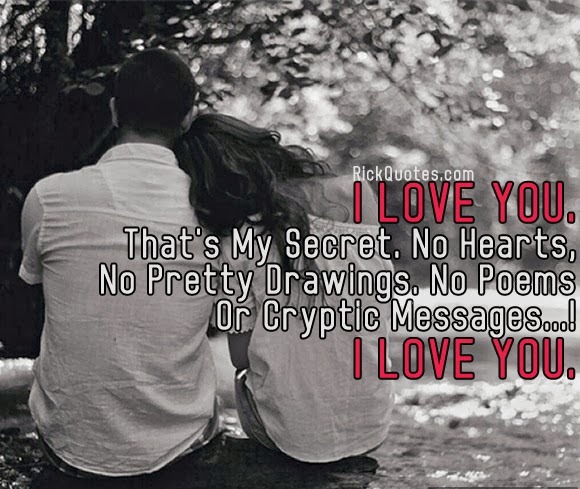 Quotes: I LOVE YOU.That's My Secret. No Hearts, No Pretty Drawings. No Poems Or Cryptic Messages...! I LOVE YOU.